Meet ELSA! 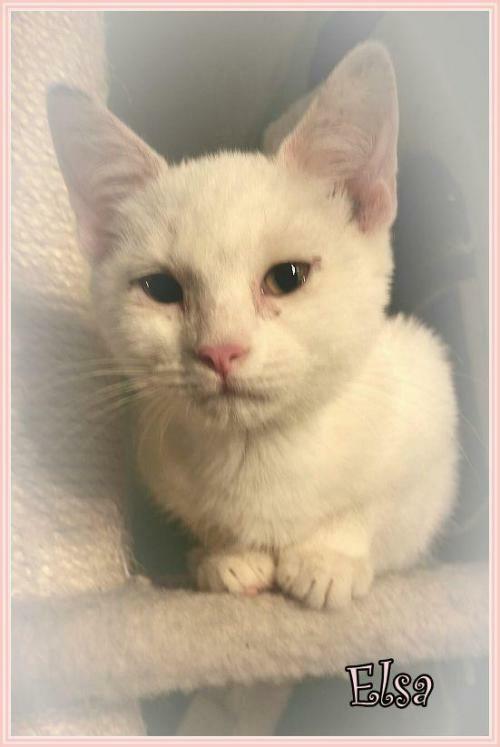 This gorgeous little kitten was rescued along with her mom & brother, Aspen & Olaf, from rural Missouri as strays trying to survive on their own. They have blossomed in their foster home, loving all the attention, having full bellies, toys to play with, and warm beds to sleep in. 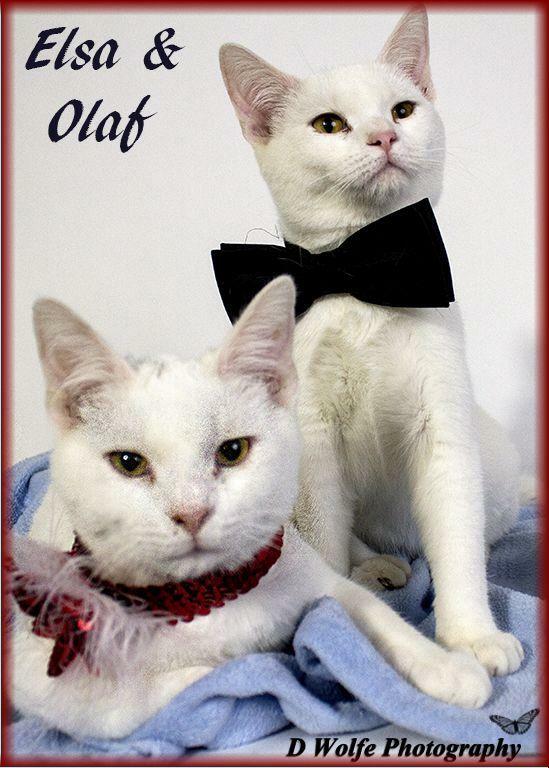 All three are a gorgeous, snowy-white color and truly beautiful kitties. 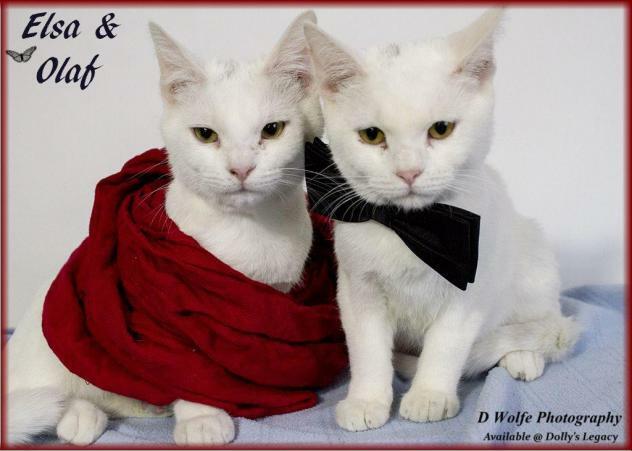 They are looking for forever families to call their own so they can be showered with love for a lifetime! 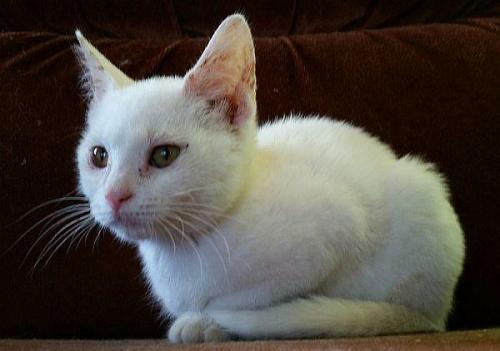 Elsa is spayed, vaccinated, microchipped, given flea/tick preventative & dewormed. Adoption fee is $125. For adoption guidelines and to submit an application, please go to this link. We are a foster-home based rescue group and do not have a facility. The first step is to have you complete our online adoption application. All adoption appointments are scheduled after your application has been approved. We are 100% volunteers & will generally reply within 3 days of application submission. PLEASE be sure to answer all questions completely or it will delay processing, be sure to include vet phone#. If you have any questions please email DollysLegacy@aol.com. Please 'LIKE' our facebook page to learn more about our rescue, see more pictures & get updates on all our adoptable pets!